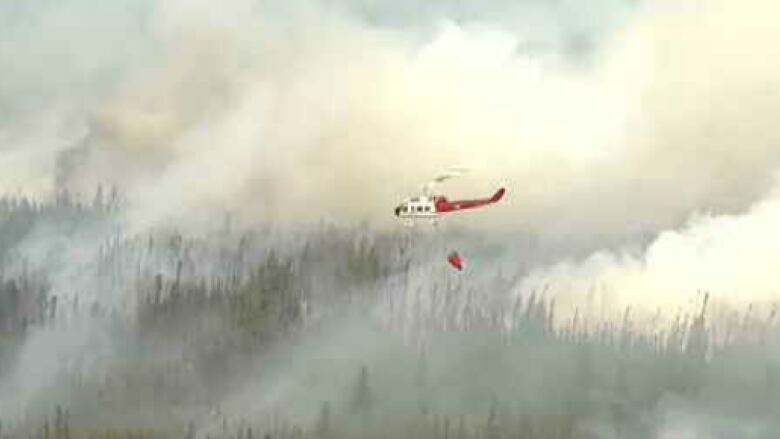 The evacuation of oilsands camps north of Fort McMurray is only adding to the multibillion-dollar price tag of the wildfire. Based on his experience as a firefighter, Don Pittis explains why dousing a fire this big is like a military campaign with plenty of room for error. 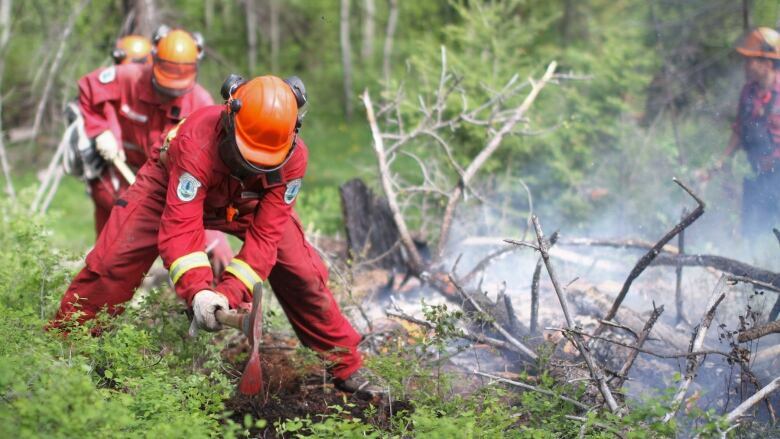 Don Pittis was a forest fire fighter for nearly a decade, and studied forestry at Lakehead University before switching to economics and journalism. 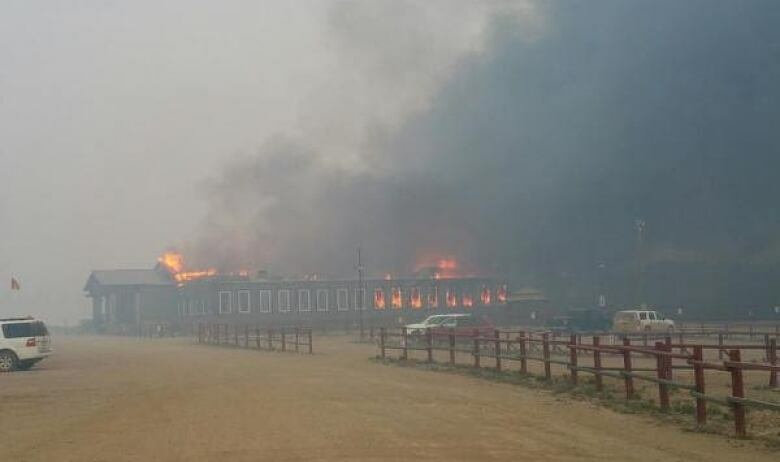 The latest evacuation of Alberta oilsands operations has added millions of dollars to the billions in damage already caused by the single Fort McMurray fire that only a few days ago was so calm it had begun to fade from the headlines. Albertans and other Canadians may be asking themselves why firefighters didn't get off the pot and put the darn thing out while they had the chance. Horrifying pictures taken when the blaze first hit Fort McMurray clearly show why it's so hard to stop a fire in its hottest stages. Perhaps more mystifying is why giant fires so often come back to bite us after we think we're safe. Fires are so sneaky and unpredictable that in firefighter lore, among the most dangerous things fire bosses can do for their careers is to declare a fire under control too soon and have it go on another tear. A worm's-eye view of how fires burn makes it clear why that mistake is so easy to make. The cost and scale of battling a giant forest fire is often compared to fighting a war. Thousands of men and women must enter the fray. Despite being many kilometres from civilization, the workers must be housed — often in tents — and fed. Despite a lack of roads, they need transportation, sometimes expensive helicopters. And as they get closer to the fire, they must carry everything they need on their backs. There are few things as exciting as the initial attack on a moving fire. With adrenaline pumping, the crews work long days flat out, usually attacking the back or side of a fire, setting up a portable pump at the nearest river or beaver pond and racing to the fire's edge. In the boreal forest with its lakes, rocks and swamp, there is nearly always water within pumping distance. But if not, firefighters must attack the edge of the fire with shovels and axes. Essentially, the technique has two stages. The first pass stops the advancing edge of the fire, putting out the spreading flames with either water or dirt. With smaller fires, when winds are light, the hope is you can work your way from the relative safety of the side of the fire to pinch off the advancing front. The firefighters' second task is to use shovels, axes or hoses to dig a non-flammable barrier between the smoldering interior of the fire and the fresh non-burnt fuel outside the fire. That crucial edge between burnt and non-burnt forest fuel is called the fire line. In imagery that echoes the First World War, the job of forest fire fighters is to hold the line. That's what stops the fire. And it's harder than it sounds. As we saw this week, a fire's battle plan is never static. Changing winds, falling humidity and rising temperatures can turn a fire that looks like a dozing pussycat into a rampaging dragon. On a map, the fire's edge may seem like a straight line, but that's far from the case. Even when it's just creeping or smoldering, the fire moves at different speeds in different types of fuel, creating bays, fingers and islands like the coastline of a boreal lake. The "fog of war" applies as fire bosses struggle to keep track of the moving fire, workers and equipment. The map of the fire changes constantly and mappers can't keep up. That's because a fire's advance is inconsistent. It rushes up hills. It creeps down valley sides. It becomes an inferno when criss-crossed fallen trees act like dry logs in a giant fireplace. It slows to a crawl in moist swamps. Worse, the fire is unpredictable. A change in wind can turn a thin smoldering finger into the fire's broad leading edge. The longer the fire remains out of control, the more it becomes multi-headed when a rising wind sends lobes and fingers flaring into fresh fuel. Even as the weather cools, getting a large fire under control is a dreary and laborious task. There is no more adrenaline, no more overtime pay. Every centimetre of the fire's edge must be painstakingly dug up with hoses and shovels. Working back from the edge, each smoldering stump must be extinguished, each bulldozed pile torn apart. And then you wait while the deep interior of the giant fire burns itself out. All the while, the fire line must be constantly patrolled. Many a time I remember patrolling back to find a hidden smoldering root or a deep tuft of moss, a wet spot that had dried out and allowed the fire to escape, merrily burning out into fresh fuel. Fresh winds can make an interior island of non-burnt forest burst into new flame. Occasionally areas that burned quickly and superficially the first time can burn again once fuels have dried out. And after all the work, all the digging and spraying and smudging, the only way to be sure a big fire is well and truly out is to wait for a long and soaking rain, such that even the forest outside the fire line is so drenched you couldn't light a fire if you tried.